Spina Bifida Awareness Yellow Ribbon Magnet. These yellow ribbon magnets will help you spread awareness for Spina Bifida. 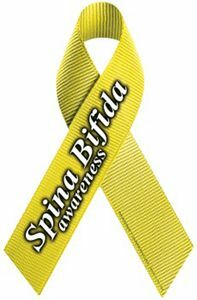 Support Spina Bifida by placing a yellow awareness ribbon magnet on your vehicle.